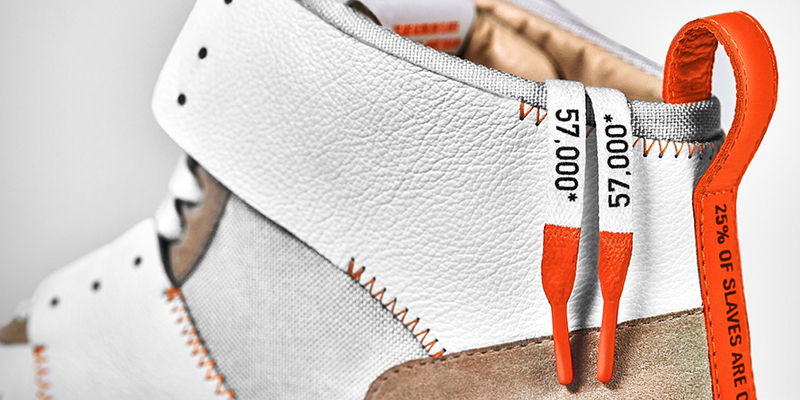 The sneakers were created in collaboration with shoe designer The Shoe Surgeon. 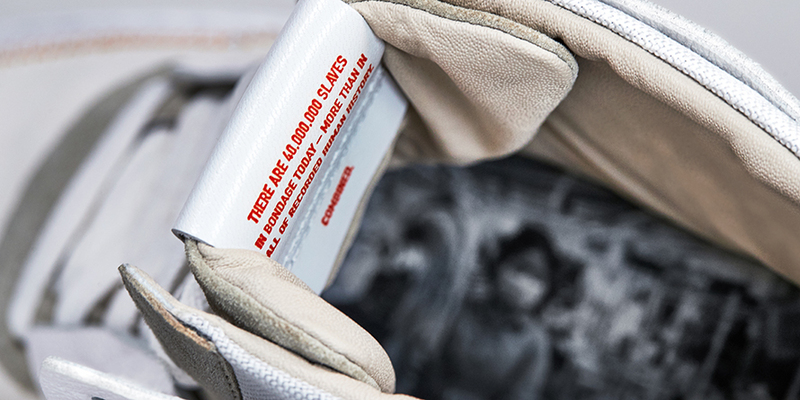 TBWA\Chiat\Day New York worked with Thomson Reuters Foundation on a campaign utilizing the popularity of “unboxing” videos to educate viewers about the reality of an issue they probably associate with the long-distant past: slavery. 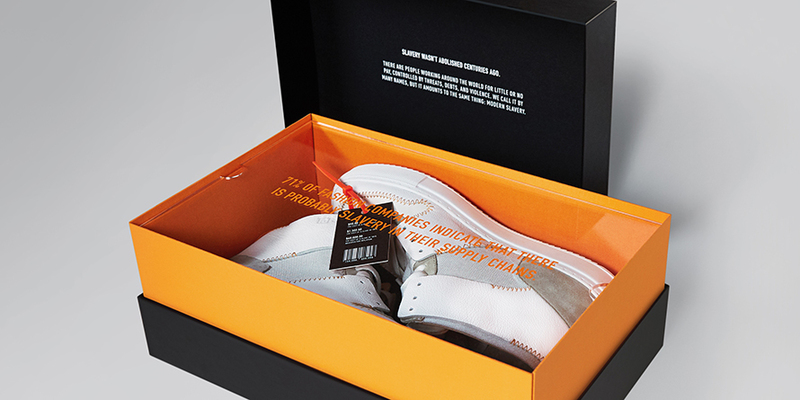 Designed to resemble the type of “unboxing” videos which have become popular with sneaker enthusiasts, the video begins with Slade opening what he claims is a mystery box. 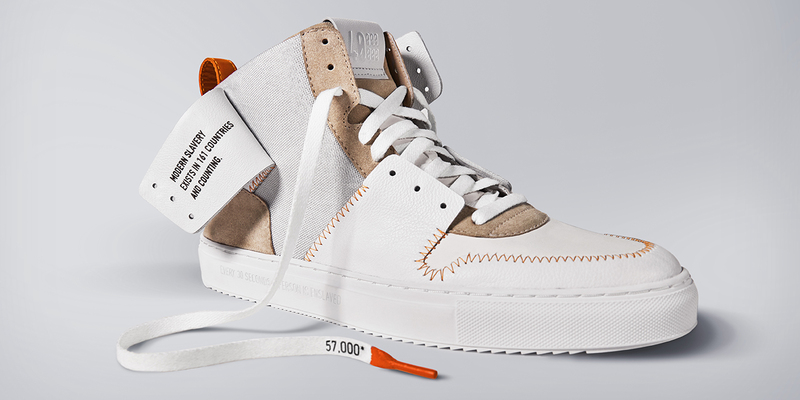 The sneakers themselves, off-white mid-tops weaving together leather, suede and mesh, are a stylish design created in collaboration with Los Angeles shoe designer The Shoe Surgeon, who also worked on Droga5 and Pizza Hut’s Pie Tops and Pie Tops II. 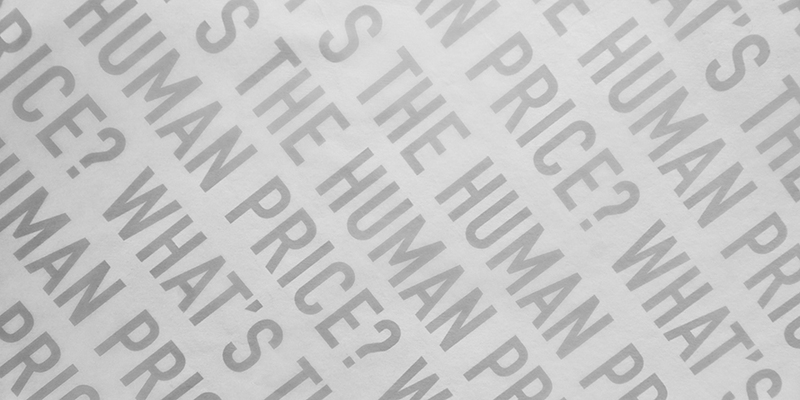 A closer look at the sneakers reveals information on the problem of modern slavery. The tongue tag, for example, reads “40M,” which is not a logo but a reference to the number of slaves today, as explained on the back of the tongue. There are 40.3 million people trapped in slavery conditions and, according to the U.S. federal government, over 134 products from 73 countries are tainted by slavery in their supply chains. In addition to the fashion industry, slavery is documented in coconut-picking and diamond-mining, and evidence from anti-slavery NGOs suggests supply chains for cosmetics, seafood and tea industries are contaminated by the practice as well. 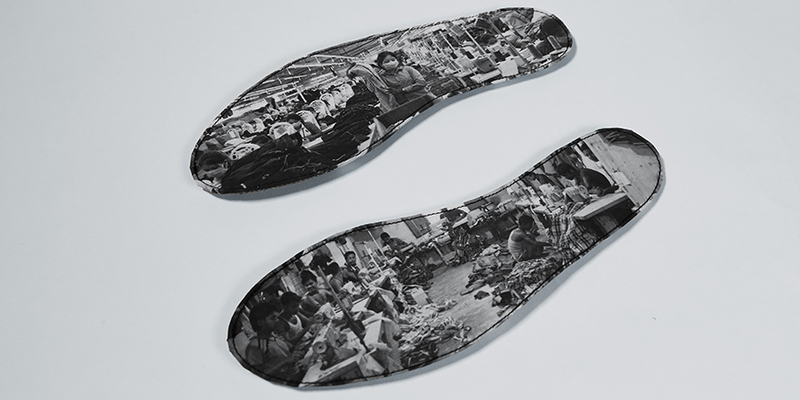 Other details revealed in the features of the sneakers themselves are that slavery exists in over 161 countries and $150 billion in illegal profits are made off of slavery each year, while the insole includes an image depicting sweatshop conditions. By collaborating with an impactful designer and YouTube influencer with a wide audience, TBWA and Thomson Reuters Foundation hope to reach a younger audience increasingly concerned with making ethical consumer decisions. The campaign aims to raise awareness of the often-overlooked issue and help shape consumer behavior. Since being uploaded yesterday the video has already generated over 50,000 views.